Hey, guys, if you haven't heard, Ruth Bader Ginsburg is most definitely the most BA Supreme Court Justice of all time. In addition to giving the sassiest dissents on record and being a champion for feminist rights, she's got some killer fashion sense. I've got to give a major h/t to Daily Beast reporter Olivia Nuzzi for noticing Ruth Bader Ginsburg wearing fishnet gloves after the State of the Union address on Tuesday night. Notorious RBG indeed. It's not often we get to see photos of Ginsburg outside of her SCOTUS robes, which makes those rare glimpses at her personal style so much more thrilling (for me, at least). And hey, listen: I'm not trying to trivialize all the amazing things she's done for women's and minority rights in this country by focusing on what Ginsburg wears when she has the chance to get a little fancy. I'm just saying these lace gloves plus with the fact that she owns one of those "Notorious RBG" tees further proves that she's totally in touch with the demographic she's rooting for, which isn't something we get to see often in American politics these days. Frankly, I'd trust someone in jeans and a flannel far more than anyone in a poorly fitting three-piece suit. 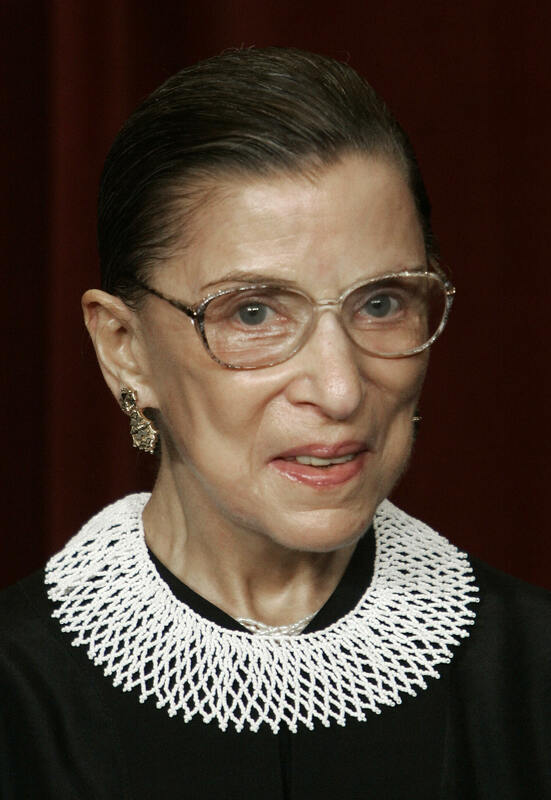 By the way, this isn't Ginsburg's first time whipping out those lacy gloves. They made an appearance at the SOTU back in 2011, as shown by this equally precious photo of her hugging President Obama. ...and attending a classy dinner. Oh, and of course, she has a pair in white. After all, every smart style maven knows that once you find a piece you love, you buy it in as many colors as you can.